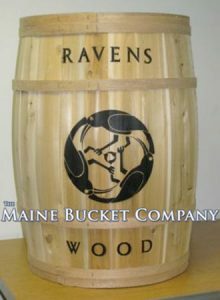 Please note – The images shown on this page relate to custom products. 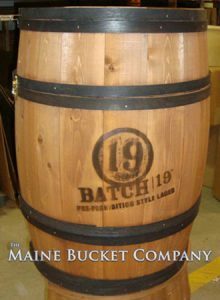 If you are interested in learning more about any of the wine and spirits beverage display products pictured here, please be advised there may be a minimum order relative to the amount of customization required. Call 1-800-231-7072 for more information or use our contact form to begin a discussion detailing your needs. 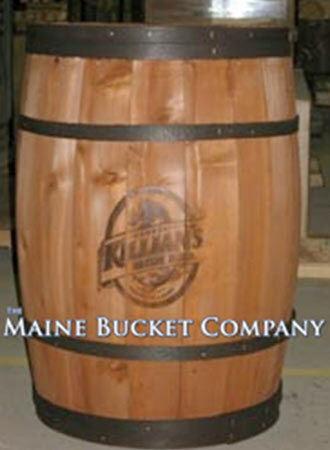 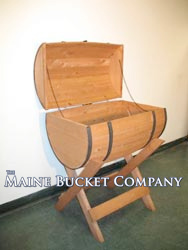 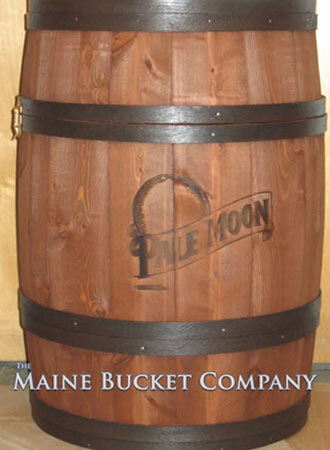 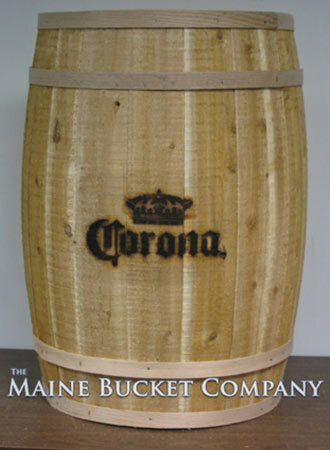 Enhance the browsing and shopping experience with wooden liquor presentations from The Maine Bucket Company. 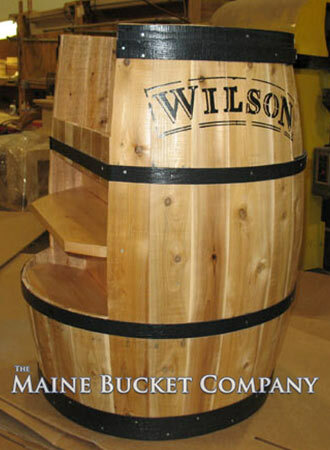 Using wooden liquor displays increases consumer purchase by evoking warmth and richness. Only wood can create the wine cellar feel, enticing a customer’s taste buds as they stroll the aisles. 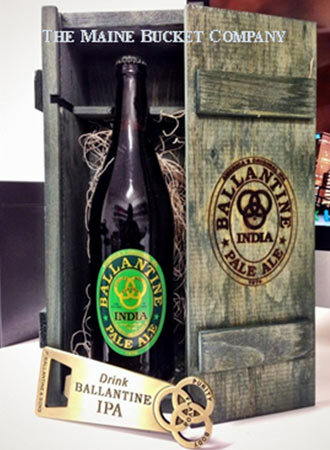 As liquor products increase, one sees a greater demand on product space and browsing room. 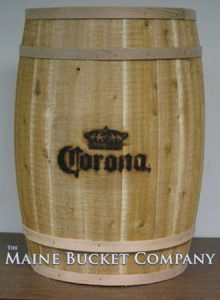 To accommodate the pressure for space and product visibility we design our wooden liquor presentations with functionality in mind. 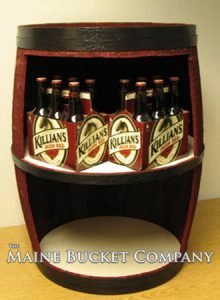 Our liquor displays enable space to exhibit products as well as a cost-effective solution to elbow room. 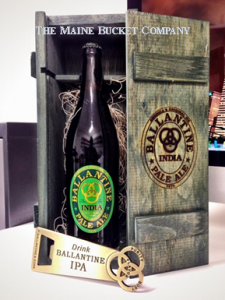 As consumer demands change so must your clients’ feature products and liquor showcases. 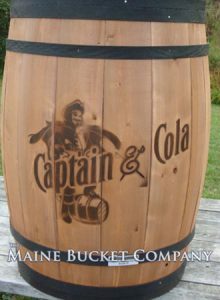 Displaying fresh specialty displays and promotions is key to maintaining consumer interest, but spending money on a costly new promotional display to accommodate trend evolution is a profit drain. Wooden liquor presentations from The Maine Bucket are both elegant and versatile. You’ll find it remarkably easy to coordinate these units to offer a fresh, appealing look to promotional items. 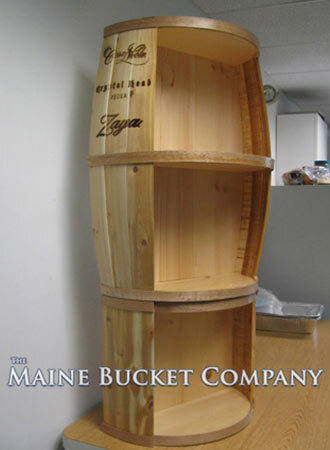 Selecting our wooden display units creates the ability to refresh your retail layout without increasing expenses. At Maine Bucket, we can fulfill any presentation need. 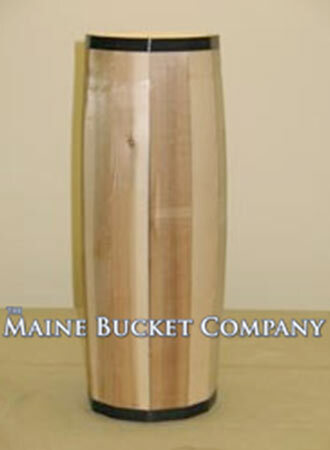 Our products start with expert design and are manufactured with quality materials with the retailer’s need in mind. If you are interested in custom liquor and beverage display units with logo, please feel free to contact us for more information.